Yet, your EBS is continuously exposed to security breaches! What is the cost of an ERP security breach? Is there a way to measure your Oracle EBS vulnerability? 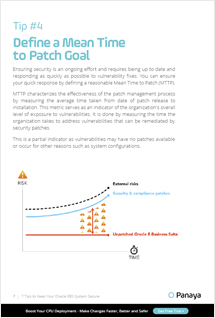 How can you boost your release strategy to ensure security? Download the eBook to learn practical tips you can apply to ensure you make your Oracle EBS safe.